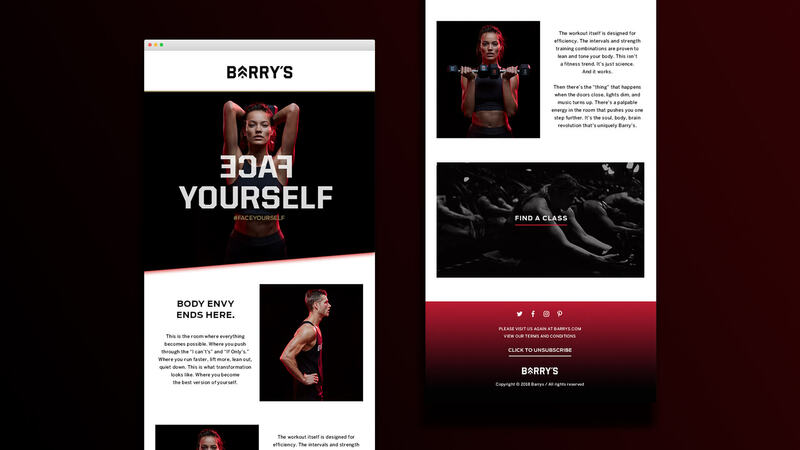 Seeking to leverage the strong reputation of its workout routines, Barry’s Bootcamp devised a new initiative to inspire members to push themselves beyond their comfort zone. Tapped for creative direction, casting, production, and video content, Standard Black drew from our experience working with top athletic teams and performance brands to craft a campaign that motivated Barry’s members with assertive images and storytelling. The Face Yourself campaign challenges Barry’s Bootcamp members to complete 16 classes in 30 days. The overarching message for members highlights the concept of personal competition, where the biggest wins in daily life are not achieved through competing against others, but by becoming the most successful version of yourself. Playing on the tagline IT'S YOU VS. YOU, the campaign invites members to challenge themselves to a workout face off. Through a series of first-person perspective images that incorporate Barry’s signature red lighting, Standard Black innovated the typical workout shot by placing viewers inside the action of a Barry’s workout. 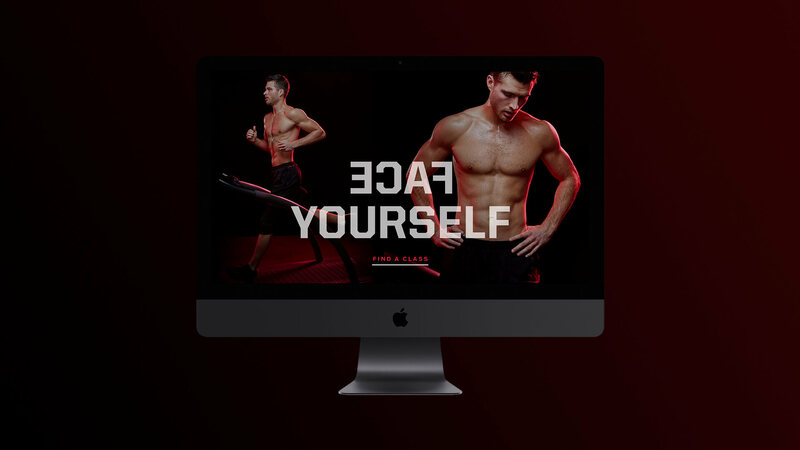 Conjuring the moment of truth when you face down your own reflection and push through your steepest incline, the campaign features head-on images of models training on a treadmill, while a flipped logo simulates the treadmill’s mirror-image view. 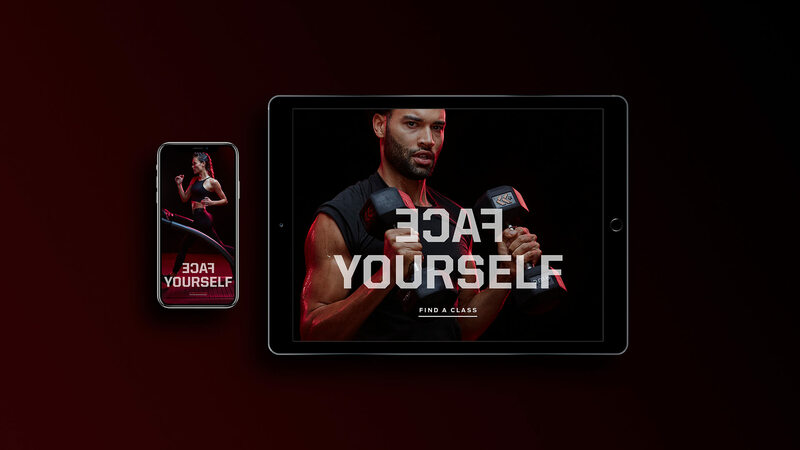 After developing a complete visual campaign strategy, Standard Black supervised the Face Yourself rollout, overseeing the campaign as it developed in digital, social, and OOH advertising and creating email and digital layouts.